NJERU – At the start of February, Villa Park was a place filled with little optimism as SC Villa were still struggling to collect points from League games despite making 13 January signings. Barely a month later, fans of Uganda’s most successful side are in full voice again as their side has started winning games and creating reasonable distance between themselves and the drop. Douglas Bamweyana’s side have in their last two games, defeated both Vipers SC and Paidha Black Angels, winning two games in a row for the first time this season. On Wednesday, a chance to make it three in as many games presents it self as the Jogoos travel to Njeru to face Bul FC at the FUFA Technical Center. Coming up against Bul, Villa faces one of the sides that beat them at home and Bamweyana will be eager to inflict revenge. “Tomorrow (Wednesday) is a very important game for us, said Bamweyana ahead of the game. “We lost to Bul in the first round in a game that we were unfortunate to lose because we dominated it from start to finish. “We want to focus more on our performance and try to keep our results consistent, so tomorrow is a big test for us as far as out development is concerned. “All in all, we feel we have prepared very well for the game and am positive we will get all three points. 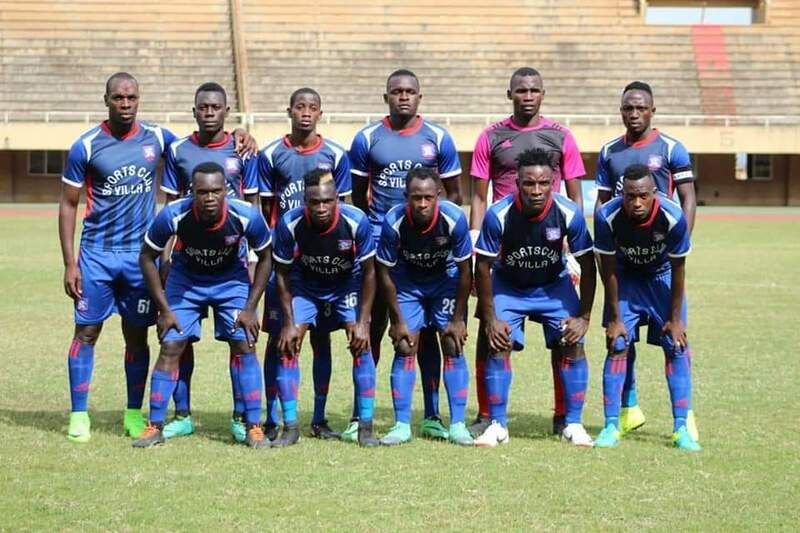 SC Villa are expected to be without a host of first team players. January signing Asuman Alishe is out injured with a dead leg, Ashraf Mandela pulled a hamstring in the win over Paidha and is not expected to be back until next week. Joseph Semuju will face a late fitness test as he is carrying a knock while Wasswa Yussuf is also nursing a hamstring problem. For Bul, they have been flying lately and their form was highlighted by reaching the last 8 of the Uganda Cup last Saturday thanks to a 4-1 victory over Big League side, Bukedea Town Council. In the League, Peter Onen’s side are currently 4th on the standings with 30 points, their best tally at this stage since getting promoted in 2011. However, they lost their last game away to KCCA (2-0), a result they will be looking to overturn on Wednesday. This will be the 16th top flight meeting between Bul and Villa. In the first 15, Villa have won 7 and lost only 3, with the other five ending in draws. However, two of Bul’s three victories in this fixture have come in the last two games, both ending 1-0 including one in this season’s first round. In the reverse fixture last season, Villa defeated Bul 1-0. This fixture has not seen both teams score in a single game since the 2-2 draw back in March 2015. Going into Wednesday’s game, Bul have lost only one of their last 6 League fixtures (W3 D2). At home, Onen’s charges have lost only two of their last 9 League fixtures (W5 D2). Those two victories in that period have both come against the top two of KCCA and Vipers. For Villa, they go into the game having won all of their last two games (3-1 away to Vipers and 2-2 at home to Paidha). However, the Jogoos have won only one of their last 6 away games in all competitions (D3 L2). The victory came in their last game on the road, away to Vipers.